10 Guests 0 Members 9 Bots (+54 bot dupes) 1 spammer also just said hi. 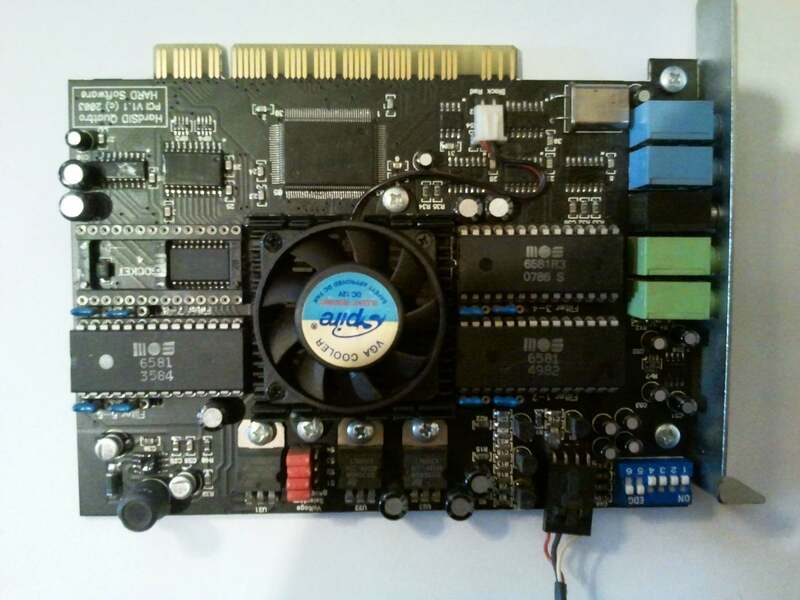 I'm selling my Hardsid Quattro PCI card including 2 original MOS 6581 SID chips. Shipping worldwide from Austria/ Europe. If interested please make me an offer. ooh nice and rare! Should point out forum rules says you have to set an acceptable price. Good luck! no clue. I guess USD 150 / EUR 130 would be a good price considering that 1 single SID alone already costs over 50 bucks if you can even get one. any takers? I live in neighbour country (Slovakia). I have paypal also euro account. 130e+20e for postage is good for me. I sell it to Matej if you send the money (check your mail for my bank data). Send PM with my full address! Will send you money tomorrow morning (going to bank)!! !So 17-18.Oct. they will be on your account!!! MONEY SEND!!! See screenshot in email!